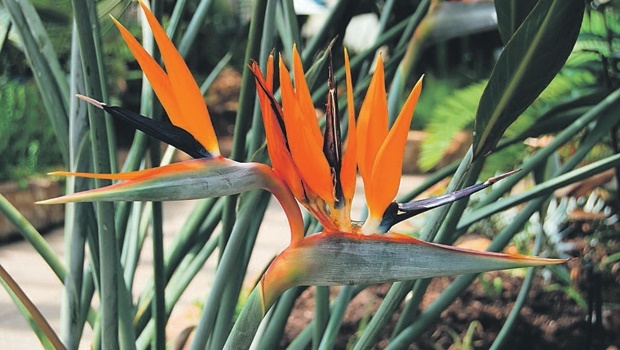 Success Mthombeni is enchanted by one of the world’s most popular flowers – the strelitzia. Growing up, I thought a 50-cent coin was very special. 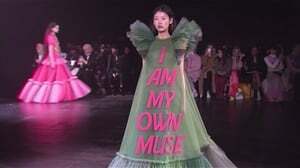 I could get a lot out of it as a kid. As long as it was a 50-cent coin and said South Africa on it, whatever else was on it didn’t really matter. It was worth two 20 cents and a 10 cent, which was a lot. Last week I came home with the latest addition to my plant family: a strelitzia (also known as the crane flower). It’s one of five species of perennials native to South Africa and one of the most recognised tropical plants with its orange sepals and purple petals emerging from green stalks. As soon as my brother and I found a spot for it in the house, he asked, “Isn’t this the same flower on the 50-cent coin?” And so, BOOM, we found a name for it! This baby can produce up to 36 flower spikes a year if treated well. But how do we make sure it’s able to grow like that? I learnt that if you take good care of its basic needs, it will help you do the rest. We had to position it in a place where it can get just the right amount of bright sunlight so that it doesn’t burn and make sure it has freely draining soil. If you keep the soil moist, it will love you; wet soil will result in the roots rotting. The strelitzia is like any other South African; it can withstand drought, salty conditions and weeks of neglect without worry. Just beware, it can be toxic to cats, dogs if excessive amounts of it is consumed. The flower is pollinated by birds and it’s the official flower of Los Angeles – most strelitzias are grown in North America. The ones grown in shady spots are likely to produce larger flowers than those planted in the sun. To encourage blooms, cut the stems back as far as possible once the older ones have faded. It may not hold the same value as a 50-cent coin once did to me but this is a highlight of any tropical arrangement, or even a basic home collection. As a cut flower, it can last for about two weeks if taken care of properly, which makes it easy to share or have one in the house and one in the garden.